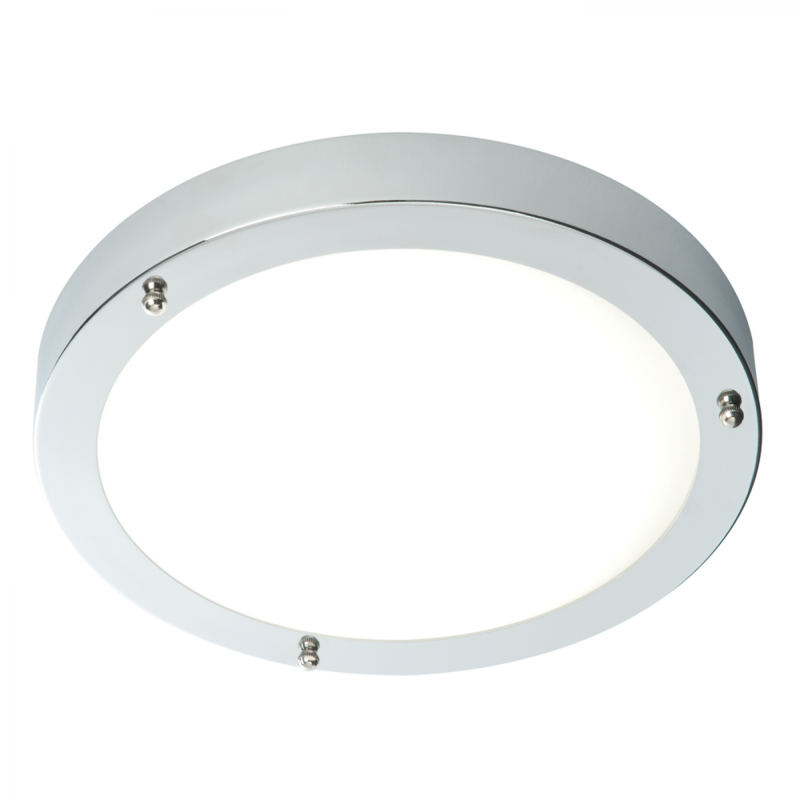 The popular product bathroom ceiling light features frosted glass and chrome finish. This fitting is dimmable and suitable for use with LED lamps. 8.3cm projection x 30cm diameter. Bulb information: 60W E27 GLS - not included.